Those hesitant to purchase an electric vehicle for fear of not having enough charge to cross the island can rest a bit easier. Volta Industries–which designs, installs and maintains EV charging stations free of charge–is installing its very first charging station on Maui next month. The charging station will be located in Ka’anapali in front of Whaler’s Village parking garage. Volta plans to celebrate the new station with a ribbon-cutting ceremony at the shopping center’s main parking garage entrance. The emerging technologies company operates Hawaii’s only free-to-use EV charging stations and is the largest network of free-to-use EV charging stations nationwide. 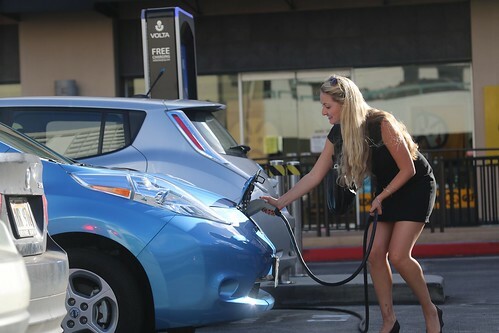 The Volta network operates nearly 40 free EV charging stations throughout Hawaii, California and Arizona. The firm expects to have 150 EV charging stations in five states by the end of next year. This year, Volta is opening its sixth station on Oahu, which will be located at the Ward Centers. Volta has given away more than 600,000 miles of charging in the past two years, during more than 20,000 free charging sessions. The EV stations, designed and constructed by Volta, are able to provide approximately 20 to 25 miles worth of range per hour of charging. The EV stations are funded by sponsorships. In Hawaii, sponsorship companies include First Insurance of Hawaii, Central Pacific Bank, Honolulu Ford, Blue Planet Foundation and Solar Help Hawaii. The charging kiosks showcase the sponsor on both the front and the back of the stations.